TORONTO , Oct. 2, 2018 /CNW/ - Sable Resources (SAE.V) (the "Company" or "Sable") is pleased to announce the initiation of Phase II exploration at the San Juan Regional Exploration Program located in San Juan Province, Argentina . The 48,000ha San Juan Regional Program contains fifteen (15) target areas and includes the Don Julio Project. Phase II exploration will consist of geochemical sampling, detailed alteration and lithological mapping of anomalies outside of the Don Julio project area. A total of six geologists will conduct exploration on ten advanced argillic and silica spectral targets during the 2018-2019 Argentine summer field season. The phase II program will be started in parallel to drill road and pad construction at Don Julio. Drilling is imminent at Don Julio, on track to begin in the second half of October as planned. "At Sable we are very cognizant of developing and maintaining our exploration pipeline." commented Ruben Padilla Vice President of Exploration at Sable Resources. "The initiation of Phase II work in San Juan follows our systematic exploration methodology and ensures the advancement of our early stage projects to drill stage as quickly and effectively as possible, ready for drilling in the 2019 Argentine Summer." The San Juan High-Sulphidation Exploration Program covers epithermal systems associated with the Upper Miocene Olivares volcanic field, a likely continuation of the El Indio Gold Belt located at the eastern margin of the Frontal Cordillera of Chile and Argentina . Sable controls more than 48,000 hectares where the company has identified 15 targets for follow-up reconnaissance work. The Don Julio cluster comprises 5 of the 15 known targets. 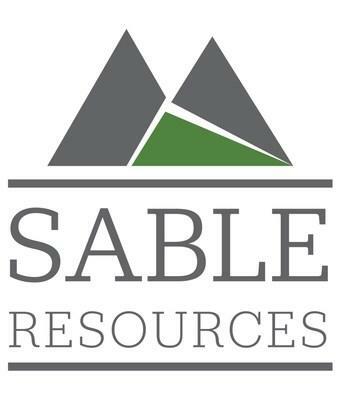 Sable completed Phase II work in 3 of the 5 targets of the Don Julio cluster and has recommended that two of them, Esperanza, and Heaven Hill advance to drilling (Phase III). Phase II work, including detailed mapping and sampling is recommended for two of the other targets of the Don Julio Cluster, Cuchilla and San Gabriel. During the 2018 summer field season Phase I – reconnaissance, started in four of the targets located adjacent to the Don Julio cluster. Results from this limited reconnaissance work support further follow-up on these additional targets Lodo, Falla Lodo, San Gabriel, and Silver Valley .